In 2016, Arizona hogs brought in $47.5 million in cash receipts to our state, according to the United States Department of Agriculture, National Agriculture Statistical Services (USDA-NASS). While pork is one of our smaller agriculture commodities, our hot farmers know how to bring home the bacon. Additionally, our local pork market is worthy of paying attention to also and if one goes to Fill Your Plate, you can source for pork farmers that will sell pork cuts to you directly. Again, while not large, Arizona families can source for local pork with about six or seven local farmers. Nationally, we have some fun facts to share that come from the National Pork Board. Pig farms support off-farm American jobs and the U.S. economy: 55,000 +plus pig farms in the U.S. support 800,000+plus jobs nationwide. 63,000+plus pig farmers produce nearly 22 billion pounds of pork each year. In 1959, it took eight pigs (including breeding stock) to produce 1,000 pounds of pork. Today, it takes just five pigs. Pig farms use 78% less land, 41% less water and 35% smaller carbon footprint. If you’re looking for variety in your protein meats, pork is certainly another one of our go-to choices. Part of this might be because according to the National Pork Board, pork cuts are as lean or leaner than chicken. For those of us that would choose pork over chicken, this is a good fact to know. Finally, pork is certified as heart-healthy by the American Heart Association. Next time we wonder what’s pork’s agriculture significance in Arizona, we can say nearly $50 million. 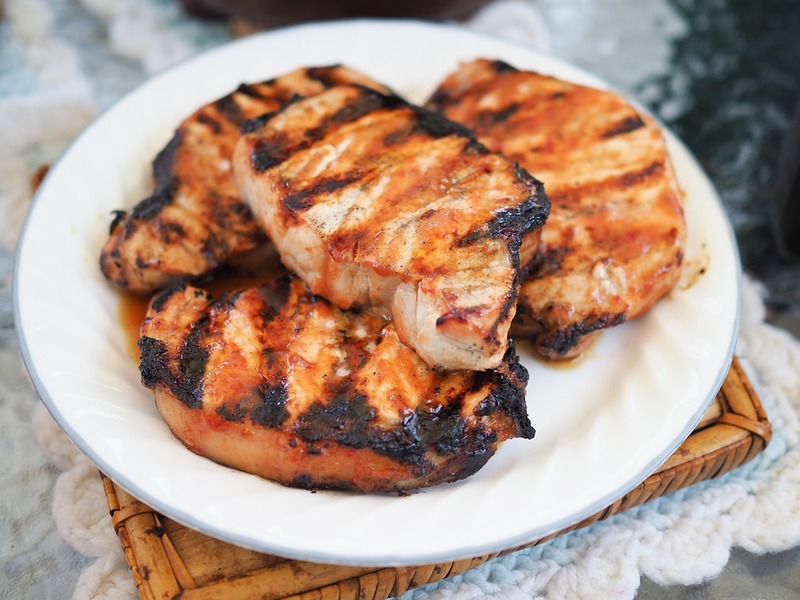 Go to Arizona Farm Bureau’s Fill Your Plate for Pork recipes! This entry was posted in Animals, Arizona, Arizona Pork, Fill Your Plate, Food, Pork, Produce, Recipes and tagged agriculture, food, Health, Meat, Pig, pork. Bookmark the permalink.